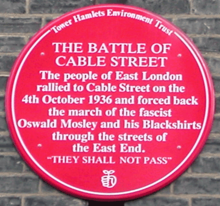 For other people named Oswald Mosley, see Oswald Mosley (disambiguation). Mosley was at this time falling out with the Conservatives over Irish policy. Eventually he crossed the floor to sit as an Independent Member on the opposition side of the House of Commons. Having built up a following in his constituency, he retained it against a Conservative challenge in the 1922 and 1923 general elections. 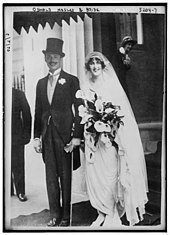 By his first wife, Lady Cynthia Curzon, Mosley had three children. His first son, born his second child, inherited the baronetcy, and in 1966 he became the third Baron Ravensdale, a title that passed through his mother's line. His first wife would also go on to represent New Party, a Fascist party set up by Sir Oswald Mosley, in the Parliamentary Constituency of Stoke. This would make her one of the first female MP's in UK politics. 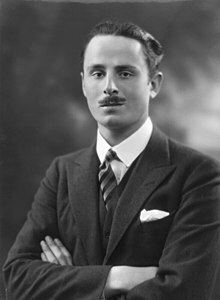 Wikimedia Commons has media related to Oswald Mosley.